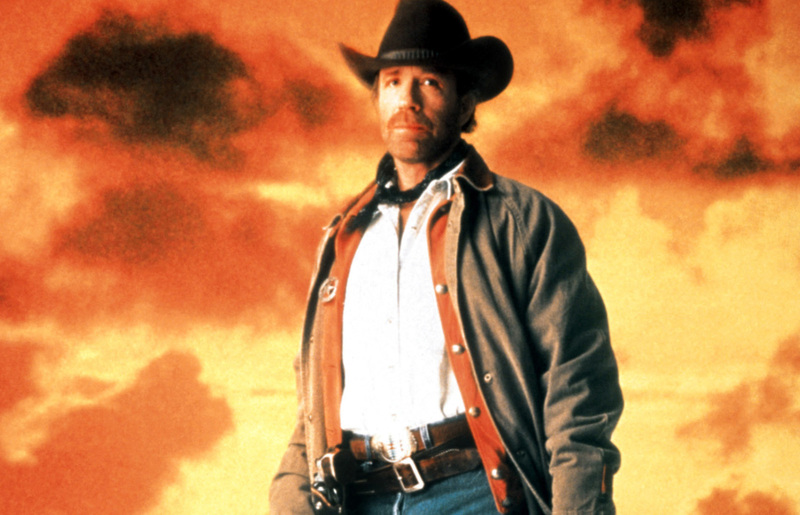 After two decades as an action film icon, Chuck Norris took his talents to television with Walker, Texas Ranger in 1993. The contemporary Western series scored high ratings for eight years — and continues to be a fan favorite a quarter of a century later. But Norris never lost his taste for longer-form storytelling. Over nine seasons, the adventures of Sergeant Cordell Walker often expanded beyond the bounds of hour-long episodes. We like to think of those two-parters as Chuck Norris action movies that just happened to air on TV. And you can see what we mean when getTV presents special two-part episodes of Walker, Texas Ranger every Saturday night in April starting at 8p ET! Like most of Norris’ characters, Cordell Walker is an ethical peacemaker who uses force only when necessary. But when it’s necessary, look out. He’s assisted by former football star Jimmy Trivette (Clarence Gilyard) and C.D. Parker (Noble Willingham), a retired ranger who owns the local watering hole. Assistant D.A. Alex Cahill (Sheree J. Wilson) sometimes disagrees with Walker’s methods, but eventually succumbs to his charms (and SPOILER ALERT) marries him in the final season! Walker, Texas Ranger was co-created by two Oscar winners — Albert S. Ruddy (producer of The Godfather and Million Dollar Baby) and Paul Haggis (writer/director of Crash) — and its cinematic pedigree is particularly on display in these two-part episodes. The increased running times allow for additional backstory and character development. And two of the four airing this month are directed by Michael Preece, who helmed more Walker episodes than any other director. Each one is a great introduction to the series and a perfect excuse to introduce new viewers to Cordell Walker and friends! The Walker saga begins with the two-part pilot, originally aired on April 21, 1993. Alex, C.D. (played by Gailard Sartain in this episode only), and Walker’s boss Captain Tom Price (The Virginian star James Drury) are introduced. And we meet the brash Trivette, a Texas Ranger thanks to C.D.’s good influence. We also learn Walker’s backstory: his Cherokee father and white mother were murdered in a racially motivated attack, and Cordell was raised by his uncle Ray (Floyd “Red Crow” Westerman). Walker and Trivette’s first mission as partners is to bust a ring of weapons-crazy bank robbers and avenge the death of a young ranger (Steven Ruge). Most shows need a few episodes to refine style and tone. Walker, Texas Ranger had it down from the get-go. Originally aired in January of 1994, this episode finds Walker and Trivette on the trail of a vicious drug ring and a predator at the local university. It also touches on a few of Norris’ favorite topics: the dangers of drugs, the healing powers of martial arts, and the importance of positive influence on kids. Look for 19-year-old Giovanni Ribisi (Avatar) as a teenager forced to be a drug runner by his mom’s boyfriend (Jeff Kober) and soap star Ellen Dolan (Guiding Light, As The World Turns) as his abused mother. Also look for some early Walker/Alex “shipping” drama, as they both get romantic with other people! Walker is injured and ordered to take time off, so he plans a fishing trip with Jimmy and C.D. to Black Bayou Lake in Louisiana. There they stumble upon meth manufacturer Ferris Clayton (David Huddleston) and his dim-witted sons (including Chuck’s son Mike Norris). Walker’s head injury triggers flashbacks, and an opportunity for some backstory. “Cordell wasn’t a regular soldier in Vietnam,” C.D. tells Jimmy. “He was a one-man recon team. They used to send him out for weeks at a time in the jungle and it really developed that dark side of him.” This episode is clearly a throwback to Norris’s hugely popular Missing In Action series of films. When Walker’s ex-partner Logan Reno (Buck Taylor) is killed in a bank heist, he and Trivette go after a crew of clown-masked killers. Meanwhile, Walker tries to help Logan’s rebellious teen son (Ian Bohen) stay out of trouble with the law. Look for Wilford Brimley (Our House, Cocoon) as the owner of an armored car company and Tim Thomerson (Trancers) as the head thief. This well-plotted episode is a twisty treat and a must for any fans of “heist” films. Plus, Norris has a fight with 400-pound, six-foot-four-inch wrestler Jeep Swenson that proves something everyone should know: nobody can beat Chuck Norris! Special, two-part Walker, Texas Ranger episodes air Saturday nights at 8p ET in April on getTV. And look for the series at its new weekday start time — 12p ET. For more, visit the getTV schedule.